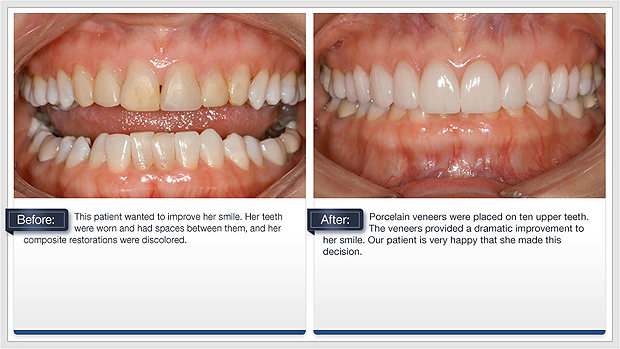 Porcelain veneers, often referred to as dental laminates, are wafer thin shells of porcelain which are bonded onto the front side of a tooth to make a cosmetic improvement in their appearance. 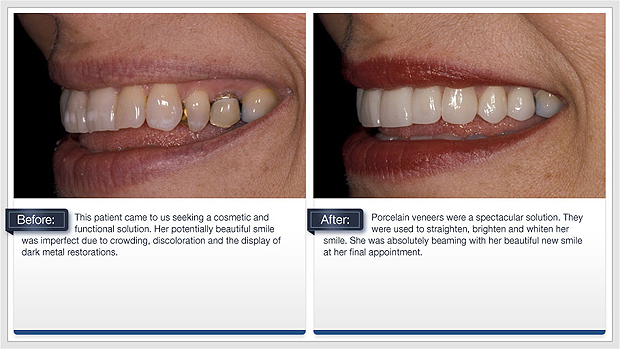 Porcelain veneers are routinely used to improve teeth that are discolored, worn, chipped or misaligned. 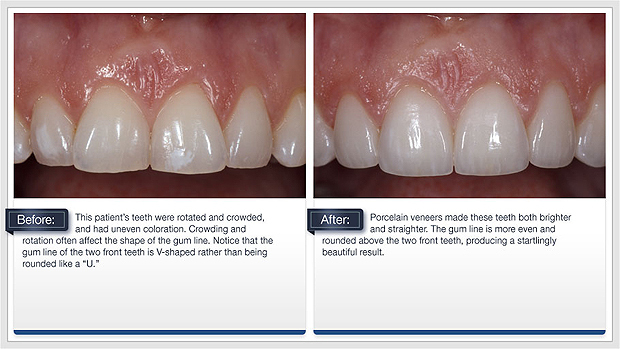 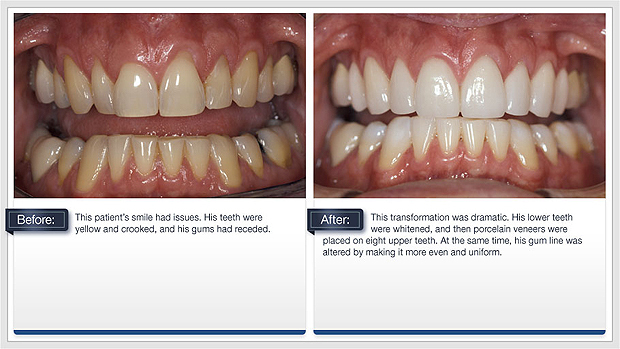 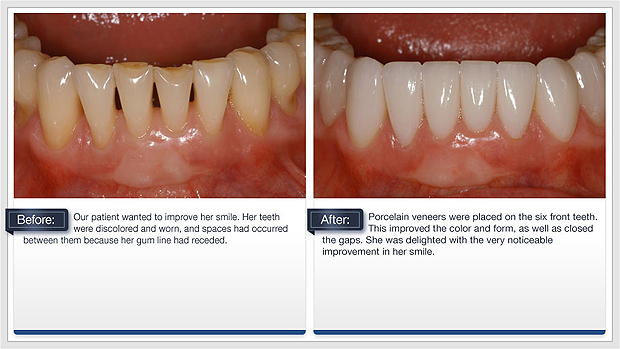 Veneers features a painless way to reshape and permanently whiten your teeth.